As ethical vegans who are also interested in helping animals living in this world right now because of humans, my partner, Rosemary, and I began to rescue farmed animals in order to get them out of the agricultural system—not to give them “better” living spaces in which they were still exploited, but to get them out once and for all. We thus started Triangle Chicken Advocates (originally Triangle Chance for All) and from that The Microsanctuary Movement, around two hens: Clementine and Amandine. All of our rescue efforts on typical “pet” species took on a new quality when we transitioned to farmed animals. Once we rescued these hens from a shelter and began to interact with them as individuals, not as abstract concepts, the notion of being “vegan for the animals” took on a profound new importance. In every moment since then, the individuals who reside here with us remind us of the value and importance of every life—even the lives that a speciesist, commodifying, cravenly capitalist society tells us are worthless. Baby chickens cost a few bucks at most, and roosters are “worth” even less; in a throwaway culture that concocts all sorts of selfish notions about what is “good,” these beings are the lowest of the low. But to us they are everything. Let us be clear about this: A microsanctuary is as much about ethos as it is about property sizes and resident numbers. A microsanctuary is grounded on the idea that sanctuary is a state of mind, and building one’s (human) life around the well-being of (non-human) animals is not only important but central to the ethos and ethic of veganism. A microsanctuary can be any space run by a vegan (or multiple vegans) that is home to rescued animals and emphasizes their health and happiness above all else. 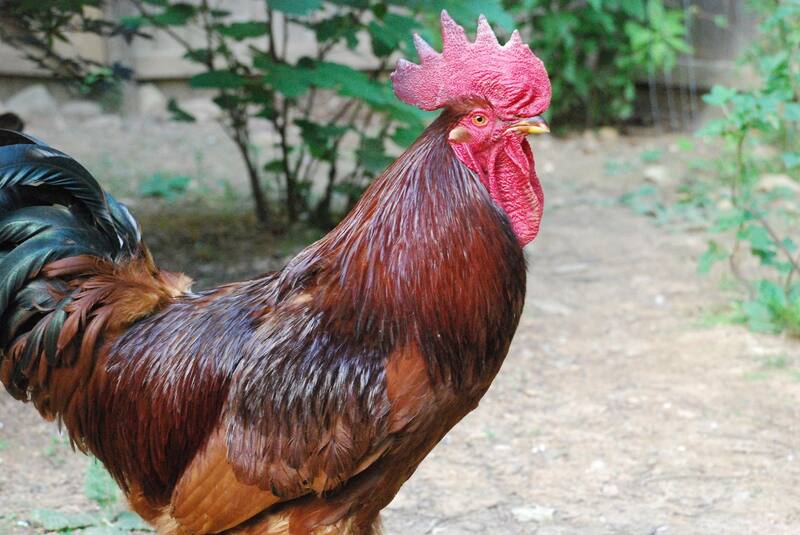 So someone with a rescued house rooster is just as much a sanctuary (by virtue of being a microsanctuary) as a million-dollar non-profit with hundreds of acres and hundreds of animals. This is important: We have to question the conceptual cultural categories we vegans inherit—such as “food” animal and “pet”—and we have to stop accepting the agricultural model as the ideal for these beings we suppose to respect. This is what microsanctuaries are doing. By throwing out the ideal of what a farmed animal sanctuary “should” look like, we began to understand what sanctuary means for the residents and the caregivers in situations like ours. It is a revolutionary relationship and way of living, for modern vegans; it involves completely rethinking our perspective on the world and redefining ourselves in the (radical) role of caregivers. This sense of dedication to the direct service of rescued farmed animals, as a way to end their exploitation, is what lies at the heart of sanctuary—and on an individual level truly defines a microsanctuary. To understand ourselves as vegans in light of the relationships we have with these beings is not only what defines our existence as co-habitants of a microsanctuary, but also shapes our notion of why we do what we do and where our moral obligations as vegans truly lie: to the animals. Seen in this light, veganism is no longer so much a negative orientation, in the sense that we are trying to not cause harm or not be part of exploitation. It feels so much more positive to have a direct role in the care of the very individuals for whom most of us went vegan. Make no mistakes here: Microsanctuaries are meant to be radical spaces, just as microsanctuary vegans need to be a radical force. What we seek is a world in which no individual being is used as a means to an end, and no individual being is made to feel (or be treated as) lesser than for any reason. That will only be possible with a staggeringly comprehensive overhaul of everything that we know in our modern life. It cannot happen if we keep bringing humans into the world as we do, and keep consuming in the ways and amounts that we do, and keep pretending that the human species has some special significance in the universe that makes it more valuable than any other, and keep rationalizing why it is okay for us to benefit from the suffering and exploitation of other beings so that our way of life can keep humming right along. We as a species, as a culture, as a society, need to learn humility, and we need to recognize the value of other lives as much as we need to understand the tragedy of forcing them, without consent and for our pleasure, into existence. Cleaning up chicken poop daily is a wonderful way to make that learning happen. Originally published in Barefoot Vegan magazine, July/August 2016. Download a PDF version of the article here. This version has been edited from the original.